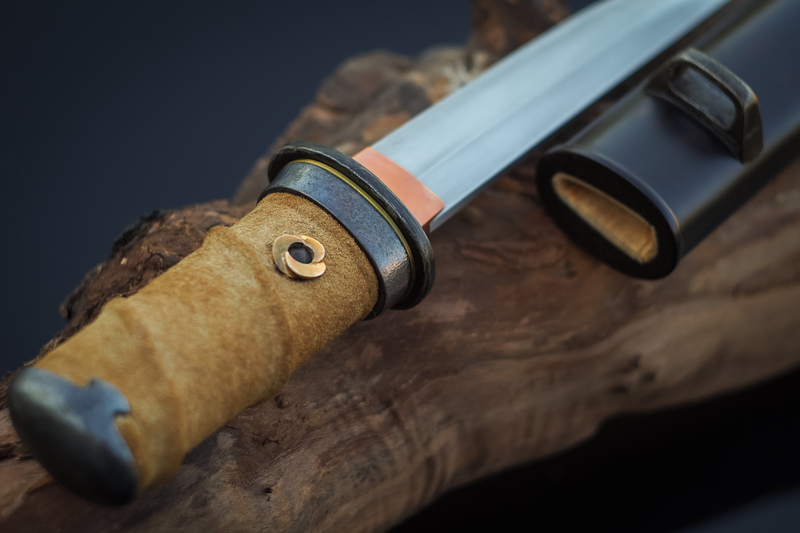 Full koshirae mount, crafted from materials as diverse as Model T fender brackets from the forest and wrought iron salvaged from the bottom of the sea. 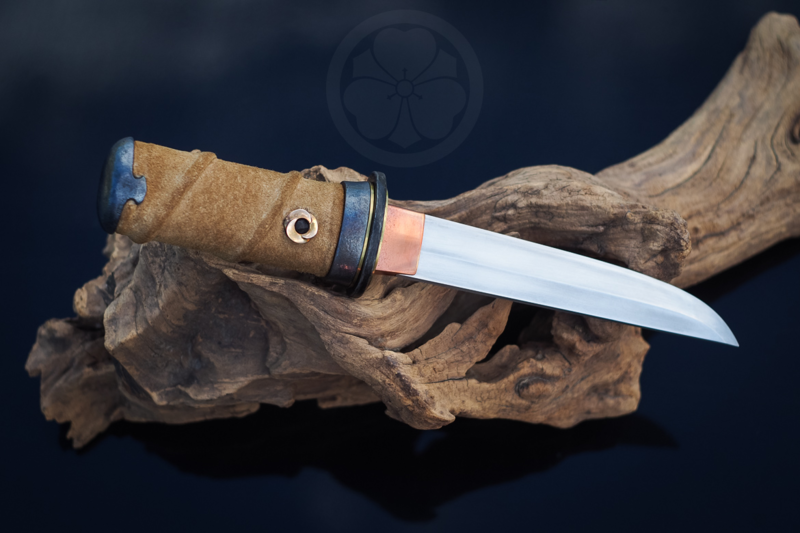 Uzumaki means a spiral or whirlpool shape and refers to both the triple wave whirlpool shape of the bronze accent around the mekugi and the spiraling wrap of the gangi-maki handle. 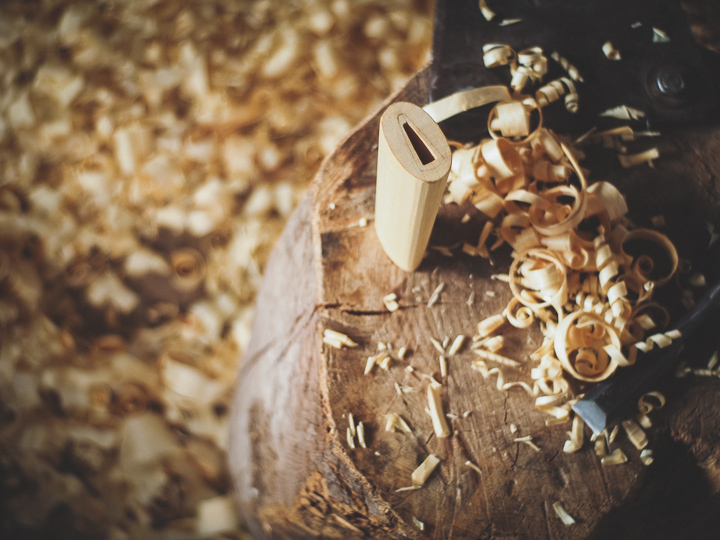 It also alludes to the cyclical nature of the history and journey of usefulness of the many materials reclaimed for its creation. 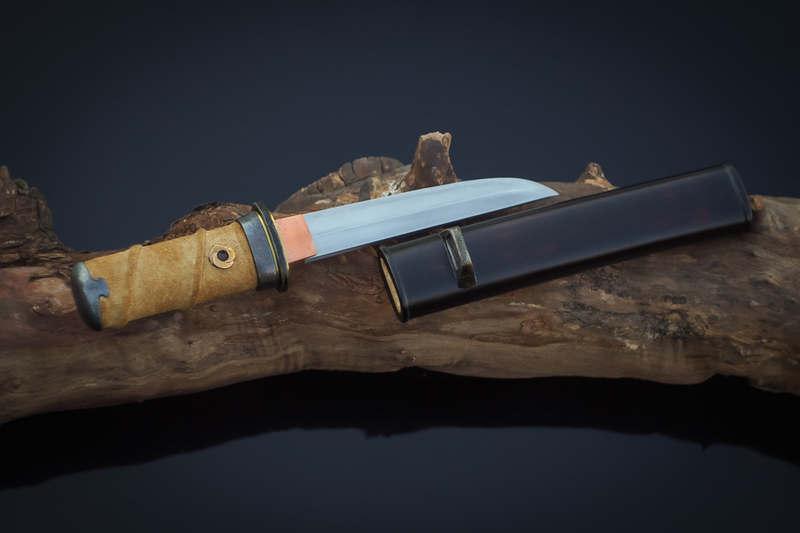 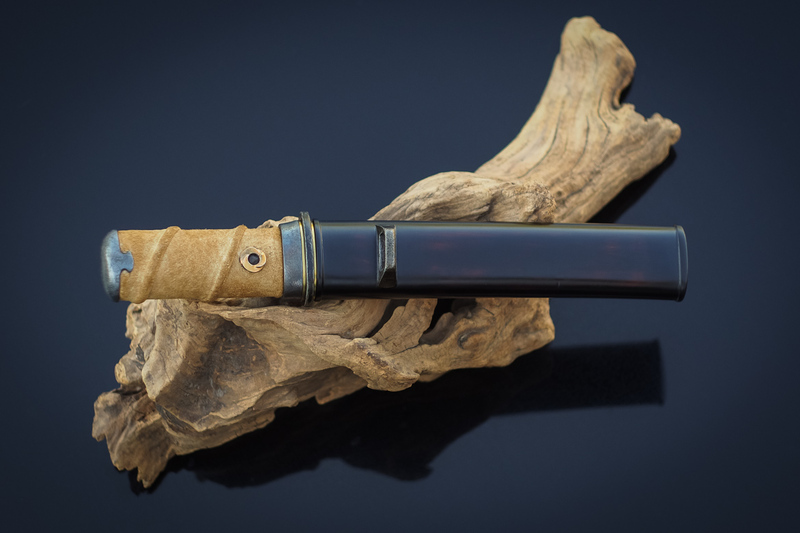 This tanto consists of sixteen individual parts that began as twenty two pieces, crafted from reclaimed items as diverse as Model T fender brackets from the forest and wrought iron salvaged from the bottom of the sea. 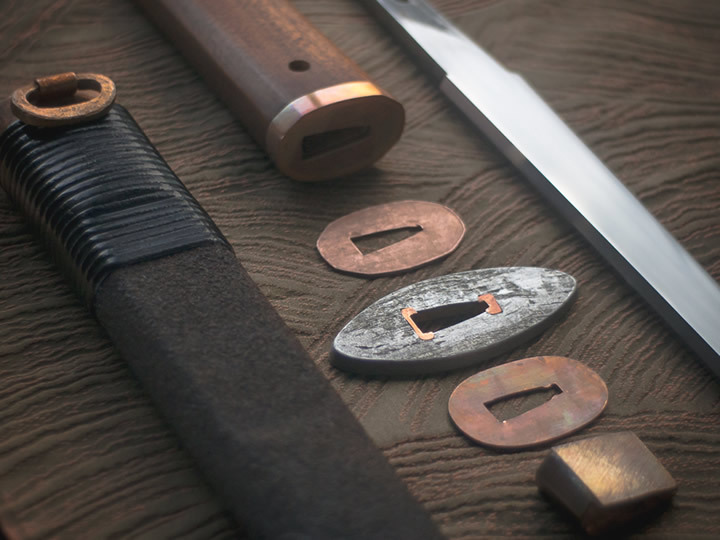 Materials for the koshirae include Model T fender brackets for the fuchi and kashira, a wrought iron timber bridge spike for the tsuba, a brass door plate for the seppa, and the double wrapping is reclaimed garment leather over shikagawa rawhide. 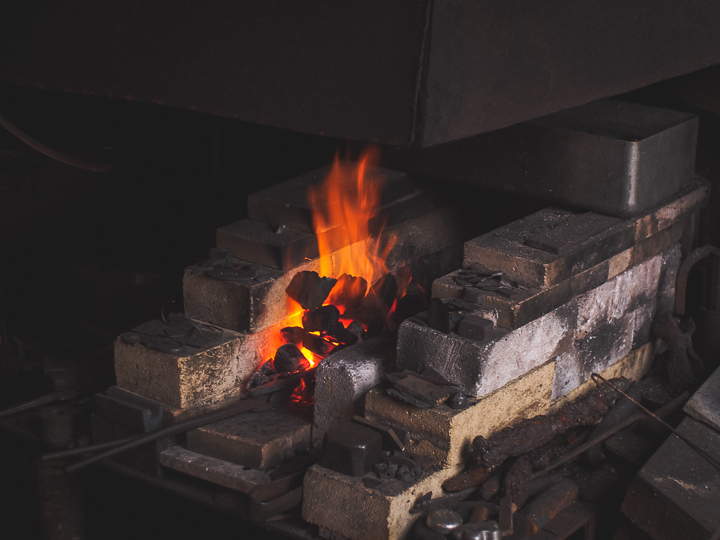 The habaki was a heavy duty copper bus bar and the bronze mekugi collar is a component of some reclaimed vintage jewelery from the Congo, smelted with copper from a mine in Katanga province. 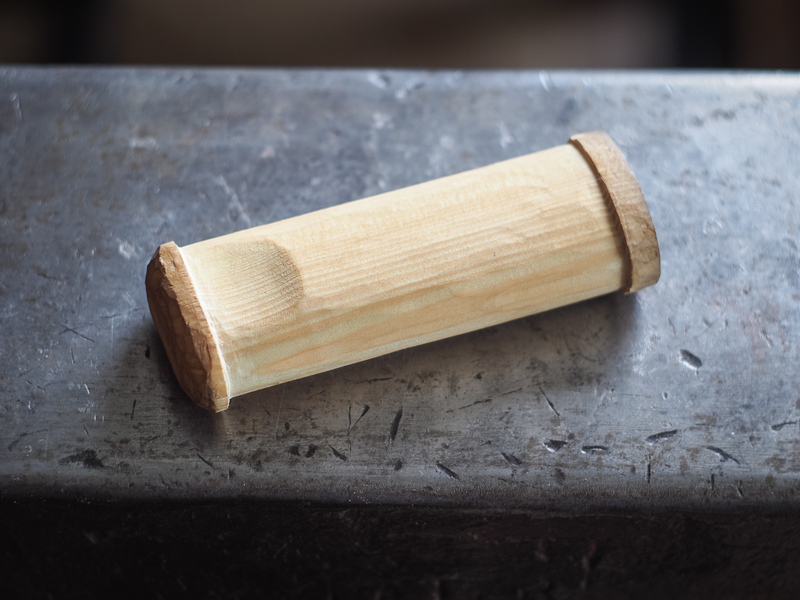 The construction of the fuchi and kashira are based on a higo style that used internal tapers and mechanical joints rather than solder for locking the parts together. 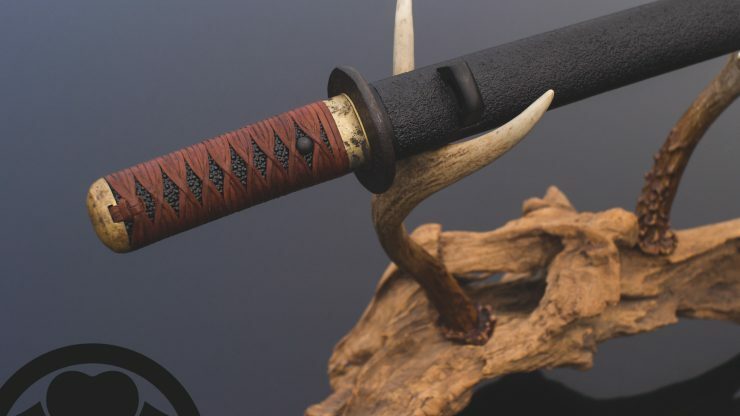 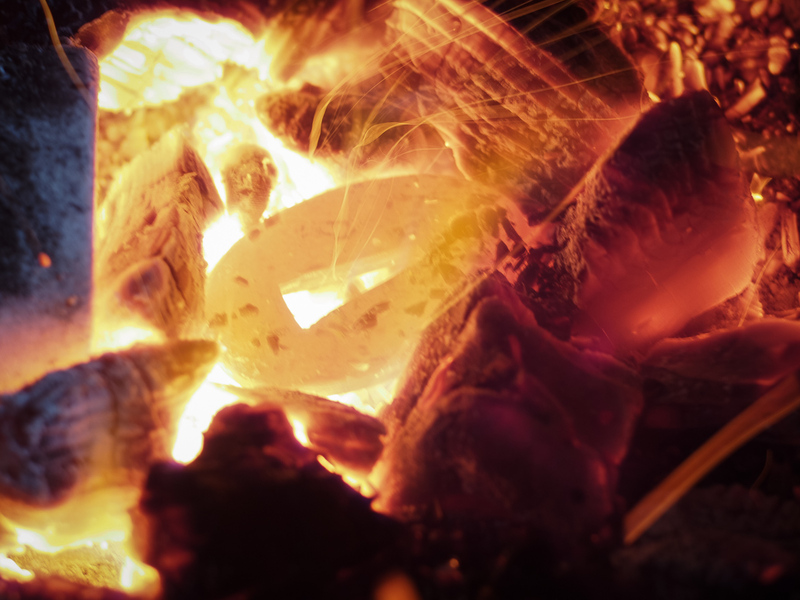 The surface of the wrought iron tsuba has been patinated with several courses of controlled rusting, burnishing with antler, and boiling in tea to convert the red oxide to black iron oxide. 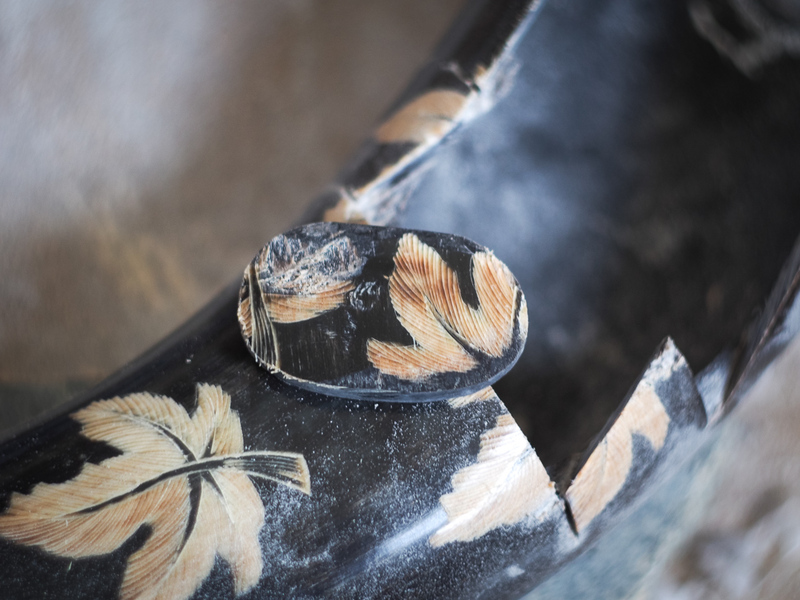 It is finished by sealing with a thin layer of natural urushi lacquer. 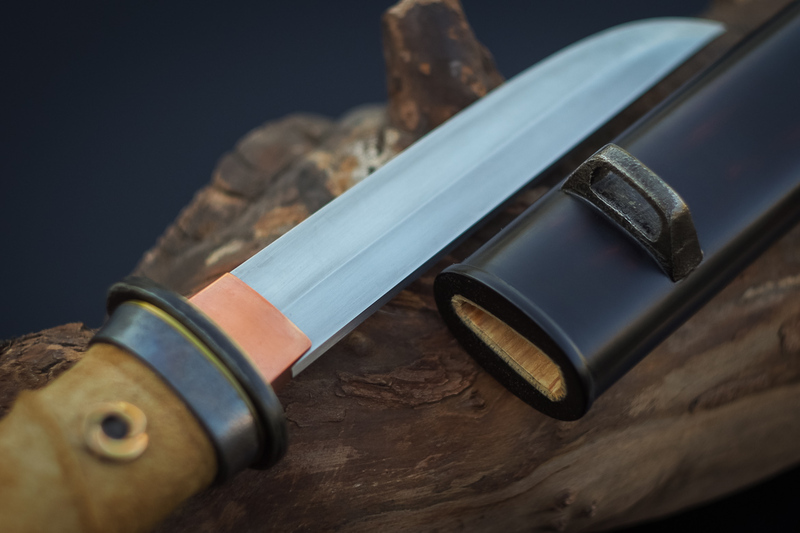 The saya is coated with a worn mokume-egaki or negoro style finish of traditional urushi lacquer. 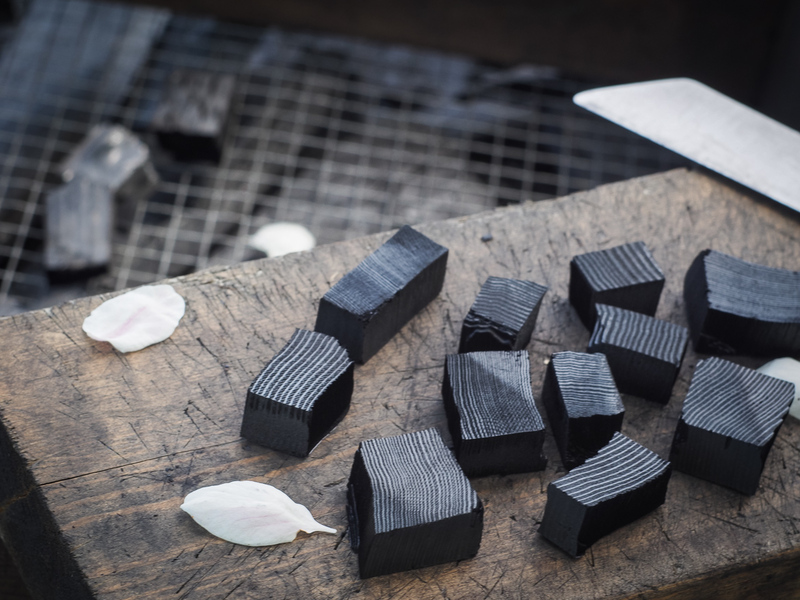 Several layers of natural and then black are built up and then selectively polished away before the final fukiurushi finish to create the feeling of a piece that has been used and cared for over many years. 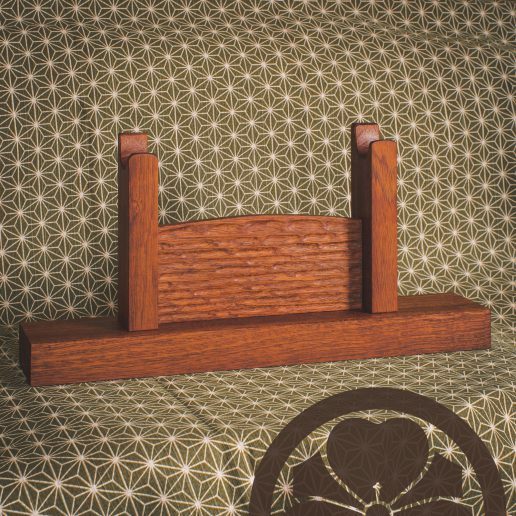 The wrought iron for the kurikata was salvaged from the sea and shows layering and tekkotsu texture. 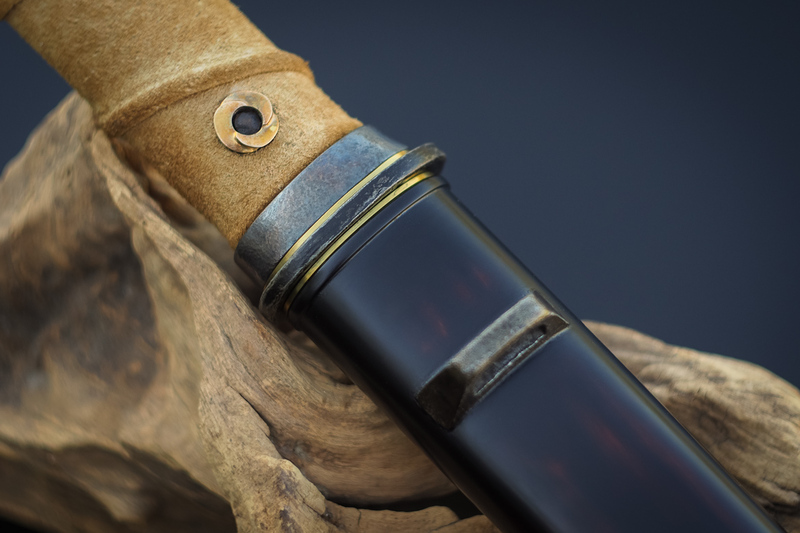 The buffalo horn for the koiguchi and kojiri was reclaimed from Canadian tourist trinkets from the 1980’s and the inside face of the koiguchi has bronze dust highlights embedded in the urushi surface. 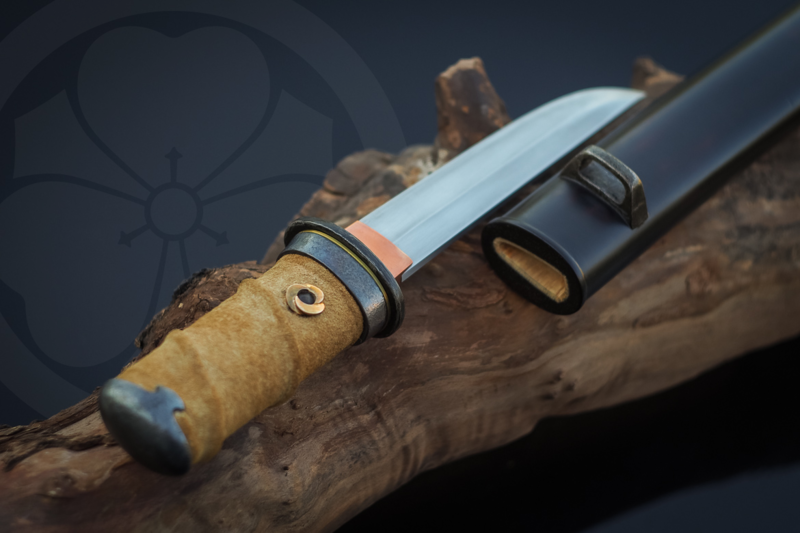 From start to finish, the mountings for this small tanto were created with hand tools using traditional techniques. 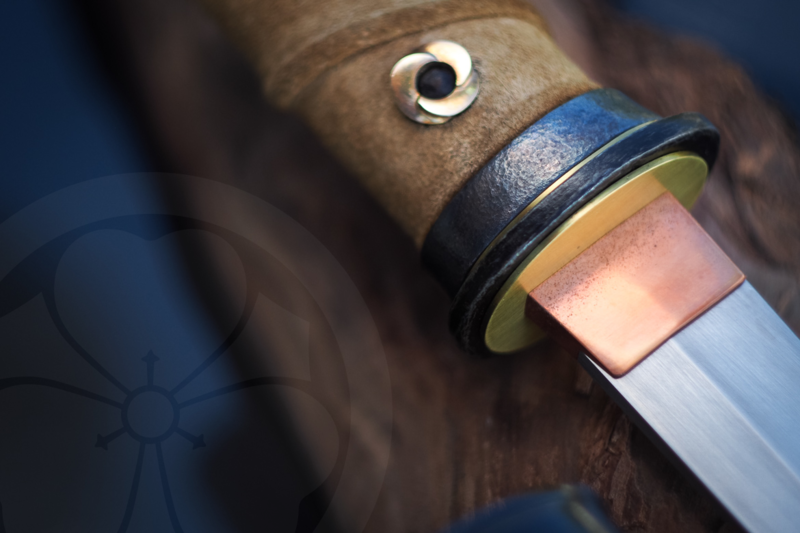 The stages of the mounting process are detailed on the koshirae and saya process pages. 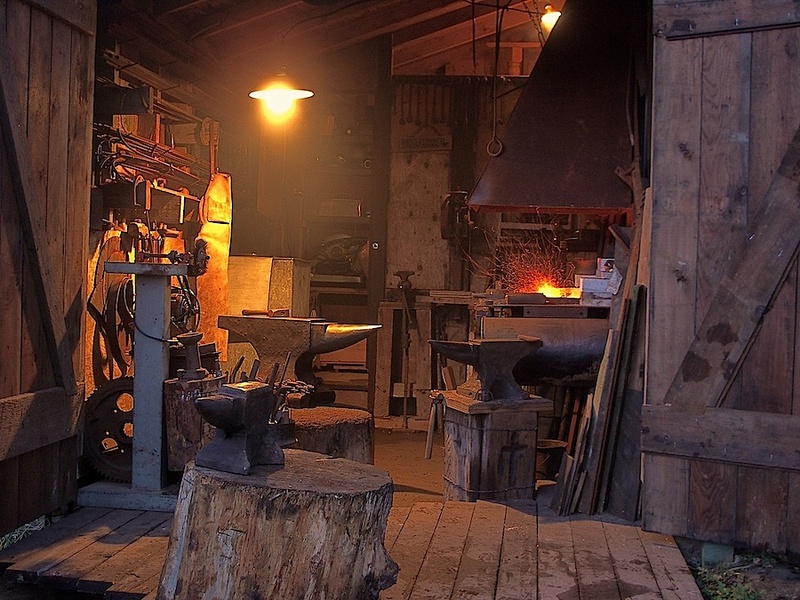 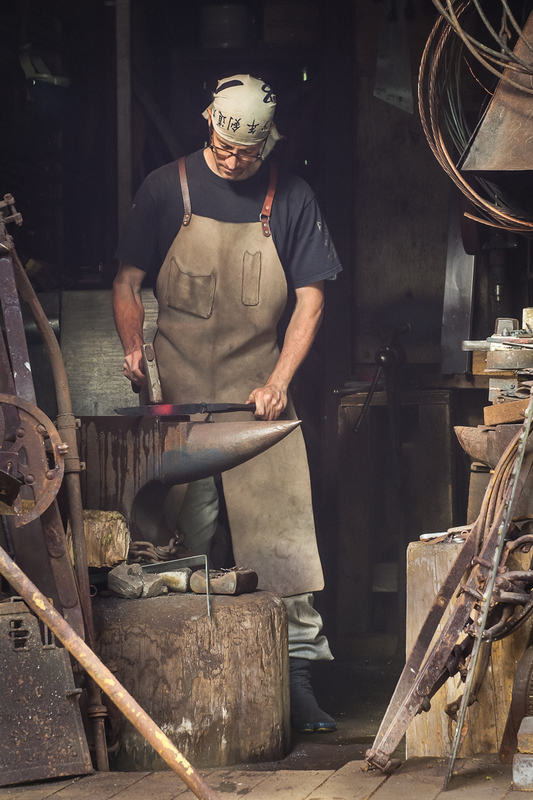 Forged from a worn harrow tooth at an outdoor arts demonstration in Qualicum Beach, the blade was shaped with files and polished by hand with water stones at various demonstrations and events in the area. 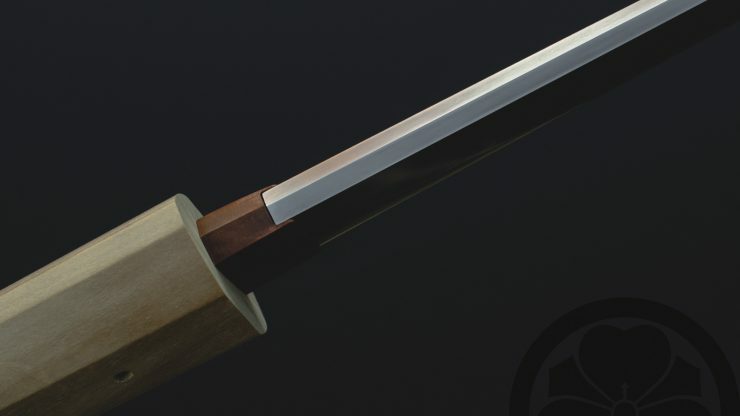 Blade construction is muku with a shobu-zukuri profile and a low iori mune. 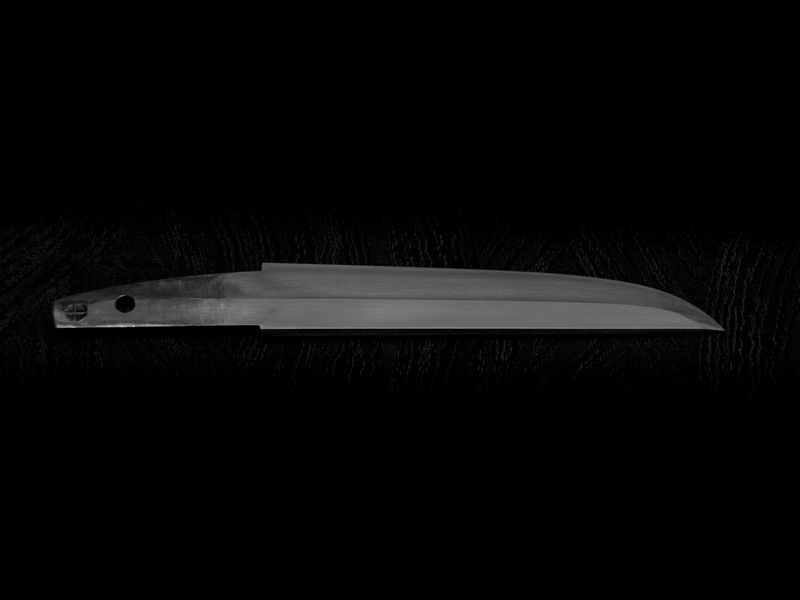 The blade is just under 5.5″ long, overall length is just under 10″, and the overall length when sheathed is just over 11″. 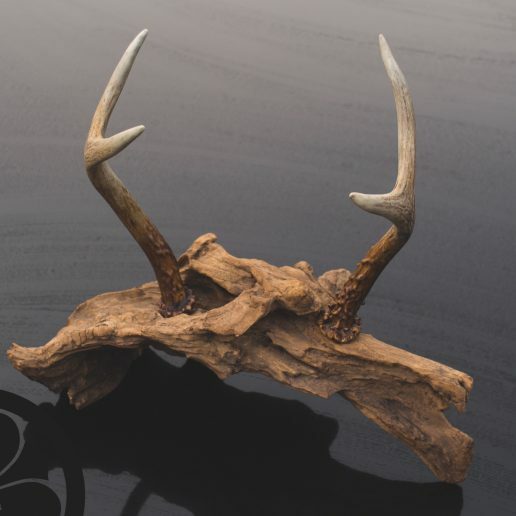 This piece is in a private collection in Florida. 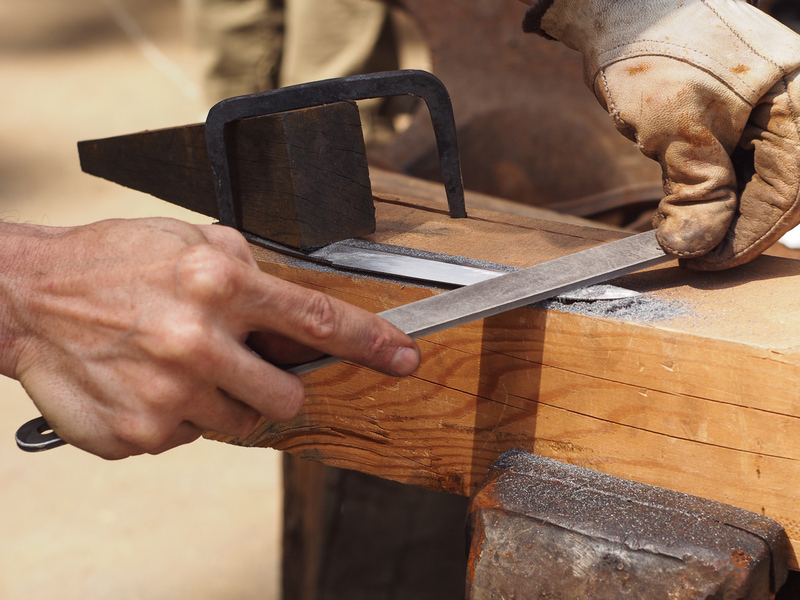 Setting the shobu-zukuri style bevels after forging the rough shape (outdoor demo, 2013). 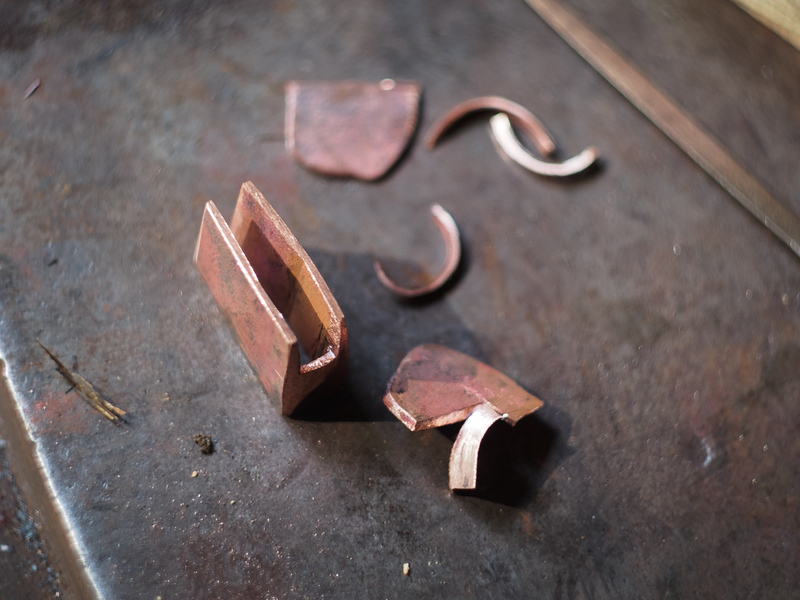 Forming the habaki (blade collar) from a reclaimed copper bus bar. 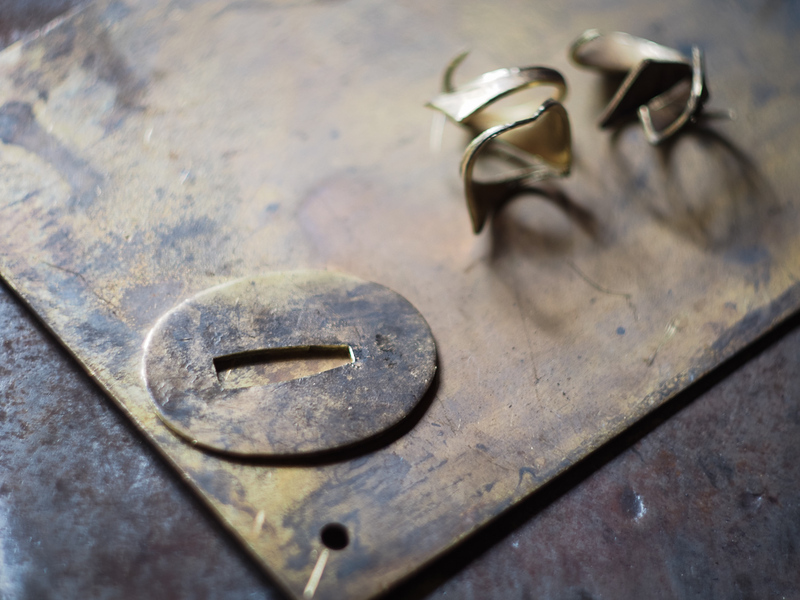 Seppa from a reclaimed brass door plate. 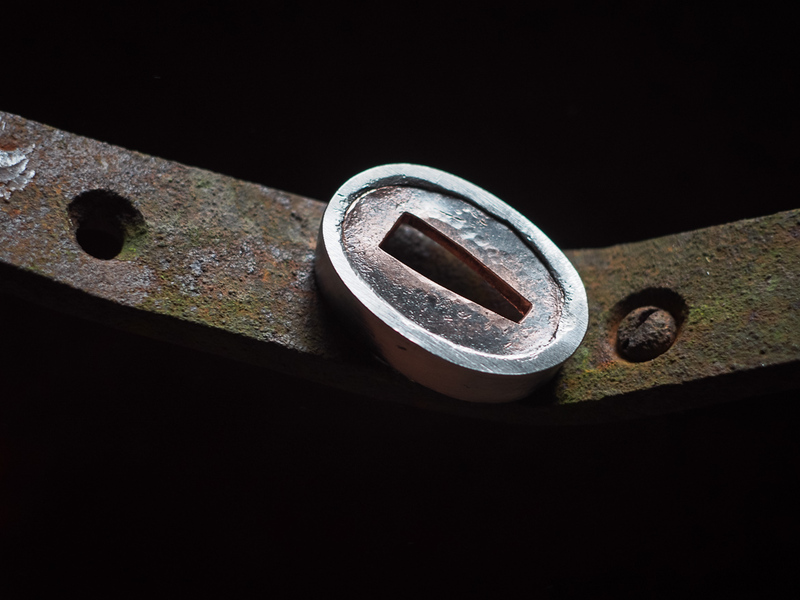 Tsuba from a wrought iron timber spike. 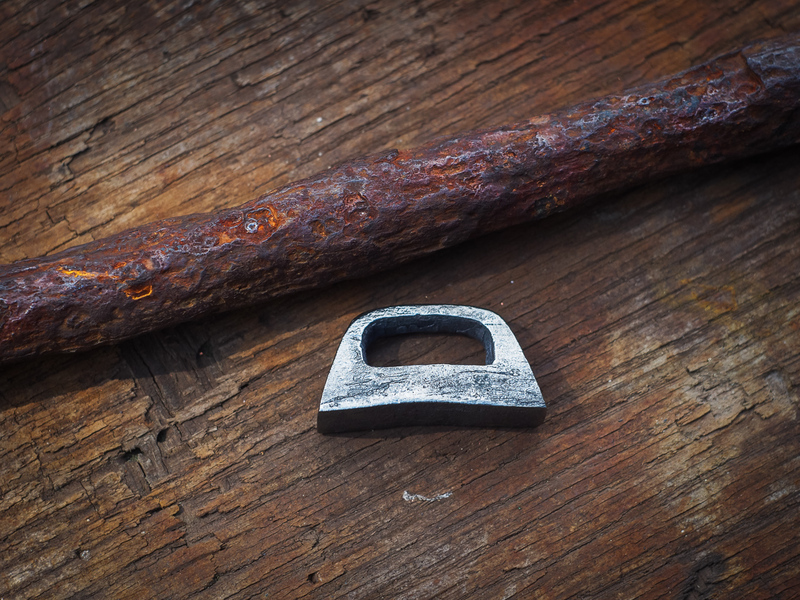 Fuchi and kashira from reclaimed Model T fender brackets, found in the forest. 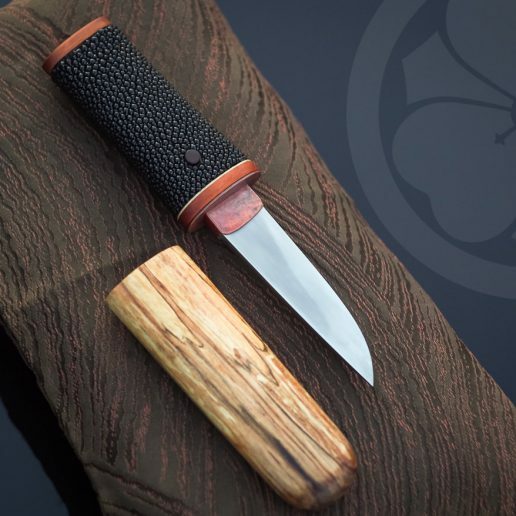 Tsuka and saya carved from a scrap of Nootka Cypress. 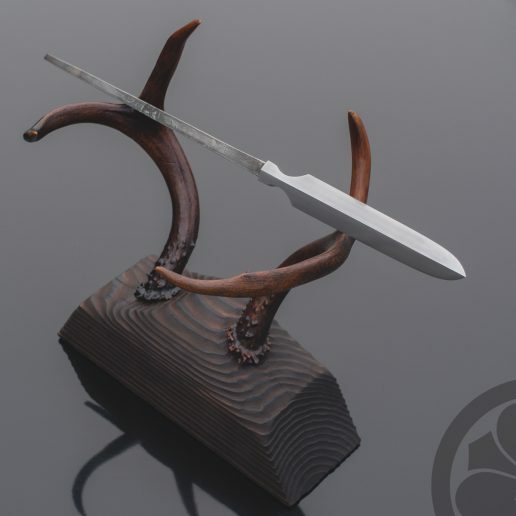 Reclaimed Canadian tourism souvenirs shaped into buffalo horn koiguchi and kojiri. 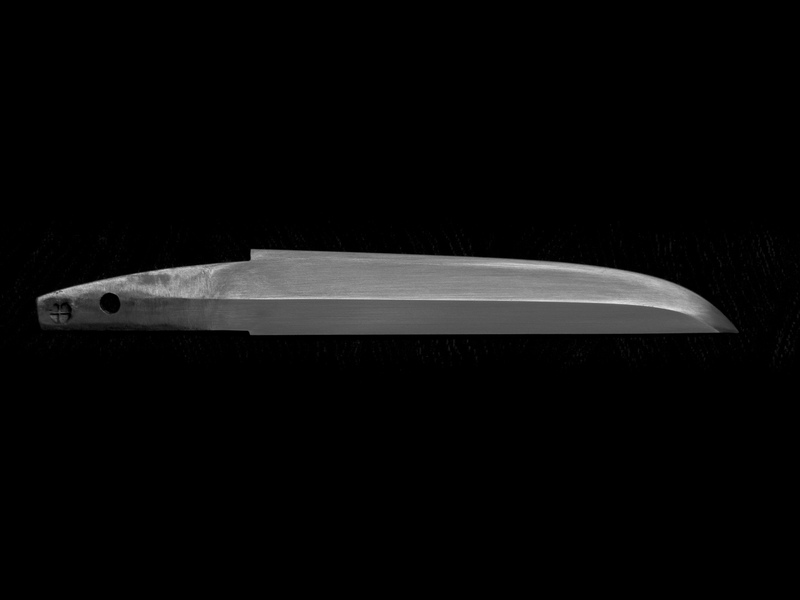 Wrought iron spike from the sea forged into a kurikata. 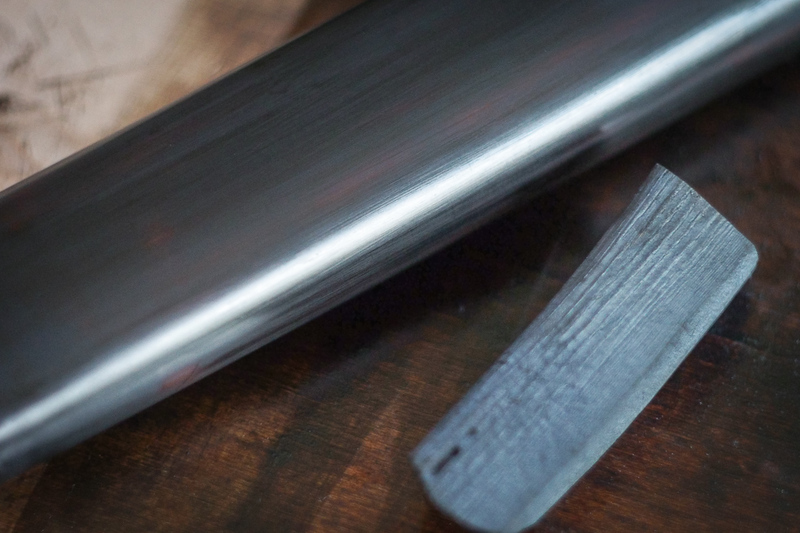 Polishing the traditional urushi lacquer finish with charcoal and water.